TITLE V. HUMAN SUPPORT SERVICE. This subtitle may be cited as “Healthy DC Act of 2008”. For purposes of this subtitle, the term “health insurer” means any person that provides one or more health benefit plans or insurance in the District of Columbia, including an insurer, a hospital and medical services corporation, a fraternal benefit society, a health maintenance organization, a multiple employer welfare arrangement, or any other person providing a plan of health insurance subject to the authority of the Commissioner of the Department of Insurance, Securities and Banking. Sec. 50XX. Establishment of Healthy DC Program; administration. (a) There is established the Healthy DC Program (“Program”) which shall provide affordable health benefits to eligible individuals. (b) The Program shall be administered by the Department of Health Care Finance, established by the Department of Health Care Finance Establishment Act of 2007, effective February 27, 2008 (D.C. Law 17-109; 55 DCR 216). (c) The Program shall be funded through the Healthy DC Fund as established by section 15b of the Hospital and Medical Services Corporation Regulatory Act of 1996, effective March 2, 2007 (D.C. Law 16-19; D.C. Code § 31-3514.02). (d) The Program shall be subject to the availability of funding. Nothing in this subtitle shall be construed to create or constitute an entitlement to health insurance or health or medical benefits. (C) Has employer-based health insurance but the annual premium cost to the individual is deemed unaffordable as determined by the Mayor. (b) Eligibility for the Program shall not be subject to any pre-existing condition exclusions. Sec. 50XX. Program benefits; affordability. (a) The Program shall provide, at minimum, health and medical benefits that are equal to those provided to individuals enrolled in the D.C. HealthCare Alliance. (b) The Program shall limit annual premium costs to 3% or less of a Program participant’s gross income. (a) The Mayor shall make the Program available to eligible individuals by July 1, 2009. (b) To meet the deadline set forth in subsection (a) of this section, the Mayor is authorized to enter into a contract with one or more health insurers to administer the Program. (c) Any contract entered into pursuant to this section shall require annual reporting of clinical quality measurements and utilization data to the Mayor. It shall be unlawful for a health insurer to eliminate or restrict the availability of a health insurance plan offered in the District with the intent of shifting beneficiaries to the Program. An entity found to be in violation of this section shall be subject to a fine of not less than $10,000. Sec. 50XX. Disposition of fines and penalties. Fines and penalties collected pursuant to this act shall be deposited in the Healthy DC Fund. The Mayor, pursuant to Title I of the District of Columbia Administrative Procedure Act, approved October 21, 1968 (82 Stat. 1204; D.C. Official Code § 2-501 et seq. ), shall issue rules to implement the provisions of this act. SUBTITLE X. HEALTHY DC FUND. This subtitle may be cited as “Hospital and Medical Services Corporation Regulatory Act Amendment Act of 2008”. “Section 15b. Establishment of Healthy DC Fund. “(a) There is established a segregated, nonlapsing fund designated as the Healthy DC Fund ("Fund"). Funds deposited into the Fund shall not revert to the General Fund of the District of Columbia at the end of any fiscal year, or at any other time, but shall be continually available to support the Healthy DC Program (“Program”), established by the Healthy DC Act of 2008, [as included in the FY09 Budget Support Act of 2008])(“Healthy DC Act”). This subtitle may be cited as “Medicaid Fee-For-Service State Plan Amendment Act of 2008”. Sec. X. Medicaid fee-for-service rate increases. 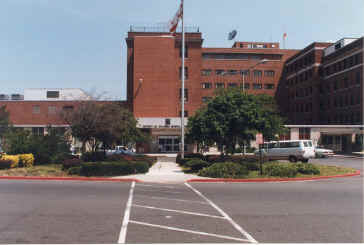 By October 1, 2008, the Mayor shall submit to the Council a Medicaid state plan amendment that will increase the specialty physician and primary care physician reimbursement rates under the District Medicaid fee-for-service program to match the specialty physician and primary care physician reimbursement rates under the federal Medicare program. SUBTITLE X. HEALTHY DC REVENUE. This subtitle may be cited as “Healthy DC Revenue Act of 2008”. “(2) Fees and charges provided for pursuant to the Health Maintenance Organization Act of 1996, effective April 9, 1997 (D.C. Law 11-235; D.C. Code § 31-3401 et seq.). “(b) The certificate of authority of any health maintenance organization may be revoked for failure to pay the required premium tax. (a) Section 47-2402(a) is amended by striking the phrase “$.05 for each cigarette.” and inserting the phrase “$.10 for each cigarette.” in its place. (1) Paragraph (1) is amending by striking the phrase “All such companies” and inserting “Except as provided in paragraph (1A), all such companies” in its place.